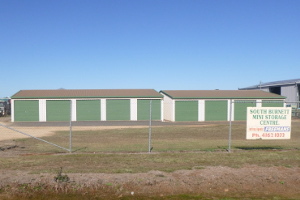 Freeman Estates offer two convenient temporary storage solutions: self-storage sheds and air-tight sea containers. 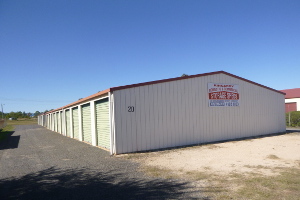 Our self-storage sheds are located in Kingaroy and Nanango and are available in three sizes that are individually lockable (you supply the padlock). They’re available for any length of time from one week upwards with a refundable security deposit required. 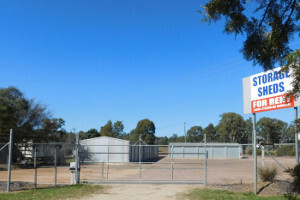 Each shed is made of galvanised metal mounted on a concrete base. 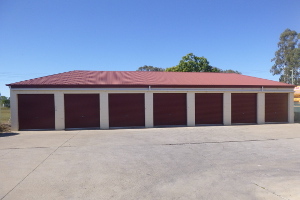 Sheds are available in 3m x 6m , 3m x 7m and 3m x 9.2m sizes from $40 per week. Reduced rates are available for long-term hire. 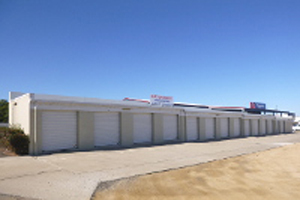 Freeman Estates also offer on-site and off-site container rentals. These are particularly suitable for large and/or delicate storage requirements. 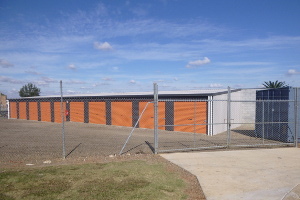 All 40 containers are based at our Kingaroy Street container depot while some can be located off-site. 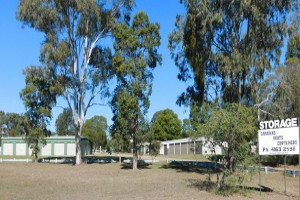 Our containers come in 2 sizes (2.5m x 6m and 2.5m x 12m) and can be rented from $40 per week with a refundable security deposit. 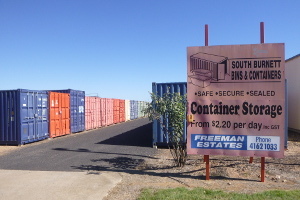 Delivery charges apply for off-site containers. 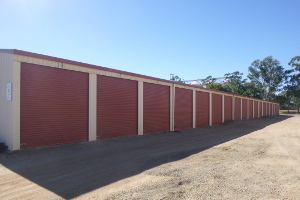 You can rent sheds or containers by calling at our offices and completing the necessary paperwork. You’ll need to supply identification (eg: a drivers license).